Concrete may seem durable but, in reality, it’s a permeable surface that’s extremely susceptible to moisture and water damage—in fact, water is one of the key ingredients in concrete. Plus, hydrostatic pressure forces ground moisture to rise up over time, penetrating your concrete floors. This added moisture can lead to slips and falls and, beyond that, creates a breeding ground for toxic microbial agents, such as harmful mold and mildew. Vapor transmission is also a common problem. This is when water gets pushed up through the concrete from hydrostatic pressure, which can cause discolorations, buckling or bubbling of the surface, or even major structural damage. As a business owner, it’s important to be proactive about mitigating these risks. Don't wait until you’re facing a potential liability or lawsuit before replacing unsightly or dangerous concrete floors. By upgrading to Natural Stone by Everlast® Epoxy, you'll eliminate these hazards while you enhance the look and feel of your floors. Instead of preventing water damage, most concrete floor coverings have the opposite effect. Try to cover your concrete flooring with carpets or rugs, and the fabric absorbs some of the moisture, bringing even more mold and mildew to the surface. In both instances, water can also become trapped inside the concrete, eventually causing tiles to become loose and unstable. And painted concrete? It’s not immune, either, as coating can easily crack and peel over time when exposed to moisture. Natural Stone by Everlast® Epoxy is the only concrete covering that solves your concrete problems once and for all. Not only does it cover up any existing damage to your concrete floors, but it’s also "breathable," which allows water to evaporate beneath the surface instead of getting trapped and creating a breeding ground for mold and mildew. This prevents the structural and cosmetic problems often caused by vapor transmission. 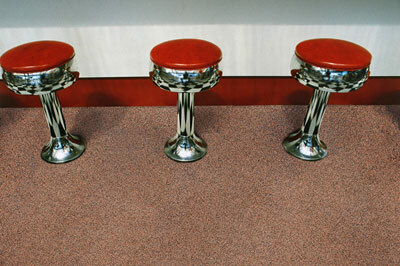 There’s no shortage of commercial flooring solutions on the market, but they’re not all created equal. When you’re making this kind of investment in your facility or workspace, make sure you understand all of your options—any why Everlast Epoxy’s engineered features can benefit your business. Easy installation: It’s designed to be installed right on top of your concrete flooring, saving you money you would have otherwise spent repairing or removing the existing concrete. Fresh, polished appearance: Once Everlast Natural Stone is in place, your damaged concrete will be completely covered, leaving behind a smooth and textured surface that will welcome customers and associates and strengthen your brand's image. Reliable durability: Natural Stone by Everlast Epoxy won’t degrade, crack, chip, peel or require replacing, even after years of heavy foot traffic. 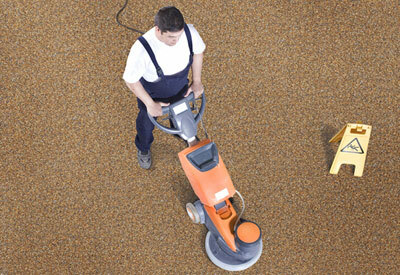 Ease of maintenance: This low-maintenance flooring cleans easily with occasional rinsing and vacuuming or sweeping. Natural Stone even traps dust, making your entire facility less dusty and easier to clean. Accident prevention: Natural Stone by Everlast Epoxy is designed to provide more traction than concrete, tile and other conventional flooring options. Because of its breathable nature, it naturally absorbs spills and moisture, so water doesn’t pool at the surface to create a slippery hazard. Consistent comfort: By installing this safe, smooth flooring, you'll provide employees and customers with a comfortable walking surface. Natural Stone by Everlast Epoxy is a surprisingly economical solution to the common problems brought on by concrete and other traditional surfaces. Click or call to get a free estimate, or to learn more about how our practical solution to vapor transmission, preventing water damage, mold and mildew.